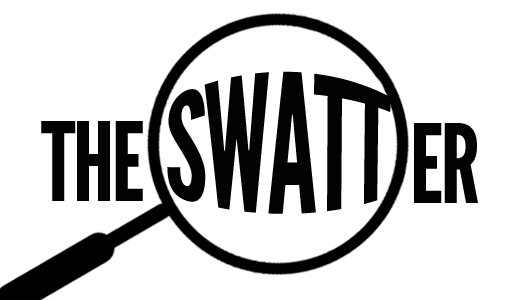 Synopsis: Public Safety responded to the Matchbox for the report of an ill Swarthmore student. It was determined that the student did not require further evaluation or treatment. Synopsis: While responding to Wharton Residence Hall for a well-being check, officers observed marijuana and a covered smoke detector in a room. The matter has been referred to the Dean’s Office. Synopsis: Public Safety responded to McCabe Library for the report of graffiti. EVS was notified for clean-up. The matter is under investigation. Synopsis: Public Safety responded to the Parrish West elevator for the report of graffiti on the walls. EVS notified for clean-up. The matter is under investigation. Synopsis: While on routine patrol in Worth Residence Hall, officers observed several students having an unauthorized party. The matter has been referred to the Dean’s Office. Synopsis: Public Safety responded to Pub Nite at Paces for the report of drinking games. Upon arrival, the area was searched with negative results. Synopsis: Public Safety received a report about a Swarthmore student in possession of a knife. The knife was confiscated and the matter referred to the Dean’s Office. Synopsis: While on routine patrol, Public Safety found a smouldering fire in the Crum Henge fire pit. The fire was extinguished. Synopsis: While on routine patrol, Public Safety observed several juveniles in the Crum Meadow at an unauthorized bonfire. As the juveniles ran, they threw rocks at the officer. Swarthmore Police responded and cited one juvenile, not associated with the College, for underage drinking. Synopsis: Public Safety responded to DU for the report of unknown individuals wanting entrance to an event. It was determined that the individuals were guests and authorized to attend the event. Synopsis: Public Safety responded to Danawell Residence Hall for the report of vandalism. It was determined that exit signs in the hall were damaged; the value of the damage is not known at this time. The matter is under investigation. Synopsis: Public Safety received a report from Swarthmore Police about an intoxicated Swarthmore student found in Swarthmore Borough. The student was cited for underage drinking. Synopsis: Public Safety, Swarthmore Police Department, Swarthmore Fire Department, Garden City Fire Department, and Facilities responded to Pittenger Residence Hall for an activated fire alarm. There was smoke and fire. The cause of the fire was an electric fan in a bathroom. The fire was extinguished. Synopsis: Public Safety responded to Sharples Dining Hall for the report of an ill Swarthmore employee. Synopsis: Public Safety responded to Whittier Meetinghouse for an activated fire alarm. There was no smoke or fire. It was determined that the alarm was activated by contractors on site. Facilities was notified.